If we see the picture, absolutely we will ask the question why this incident happened. 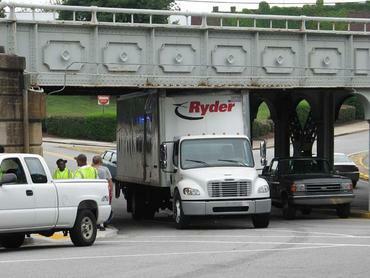 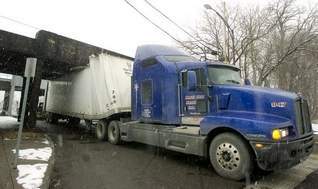 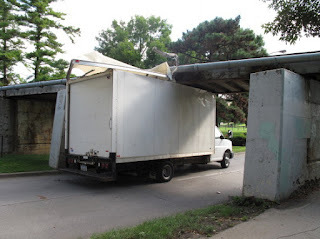 Did the driver of truck is over confident with his assumption that the clearance provided enough to get through the bridge. 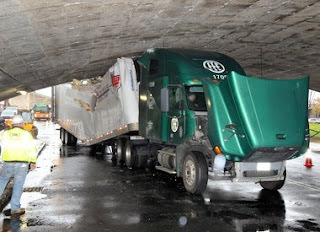 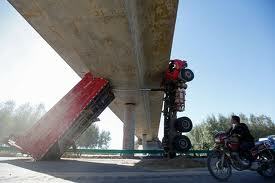 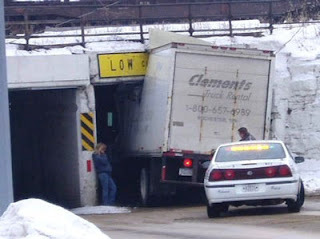 Or did the engineer not consider the high of truck in the design ? 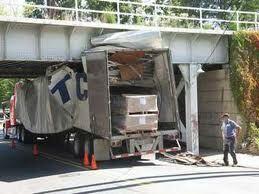 Or did the driver are not well educated in the clearance high of bridge by authorities? 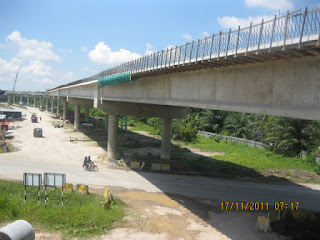 With reference to the Bridge Design For JKR Specification (Malaysia), the designer shall refer to the latest Authorities Requirement for roadway crossing in their bridge design in order to obtain an approval for construction. 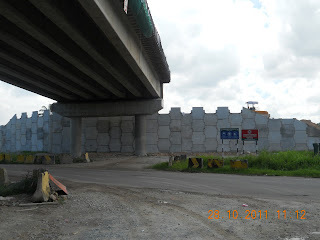 The local authorities such as State JKR, Town Municipal, etc will provide the specification of their department to consultant to comply in the design for crossing bridge. road surface under the soffit of the planned bridge beam is recommended for the design. 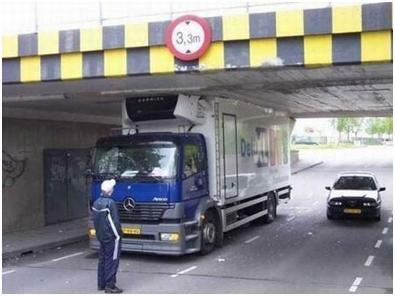 if it happened in Malaysia I believe that the driver is really damn stupid driver and how he get the license.